Three made of unique variations are available. For the beige version: fancy natural straw and imitation pearl beads for the material.... and a crocodile clip to keep it. The diameter is 30/19 cm. 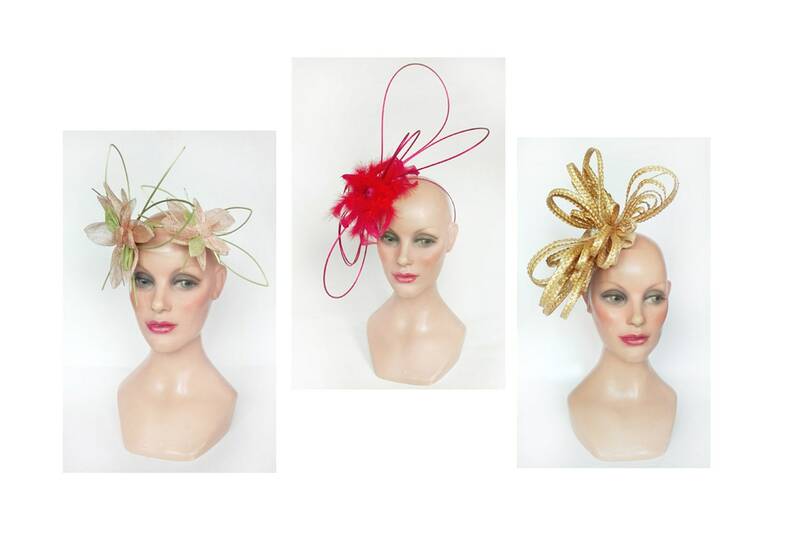 This fascinator will bring a touch of clutter-elegant to your outfit. The Red version: made ceremonial cords covered Red Hat, cellulose straw braid, feathers also red and top, a pink tassel with metallic thread presence. The diameter is 46/30 cm. The headpiece is mounted on a lace covered metal headband. Pink version: I am offering this ceremonial headdress in green and soft pink tones. Made of sisal and lace covered, keeping is done by a metal headband covered with. Its diameter is 30/25 cm.